Today I want to introduce you to Gabriela Mayo, my featured “Once Upon a Run” runner of the week. Gaby has been running for 3 and a half years and she is training for the Aramco Houston Half Marathon. Gaby and her husband are runners who were born in Mexico. As Gaby watched her husband cross the finish line at Houston a few years ago, she felt the incredible emotion coming from the cheers of the crowd and the incredible feeling of accomplishment from the runners. She told herself that she had to feel that rush from the other side as a runner. She ran Houston this year and she is currently training for 2017. Gaby originally discovered running after she moved to a neighborhood filled with beautiful running trails. 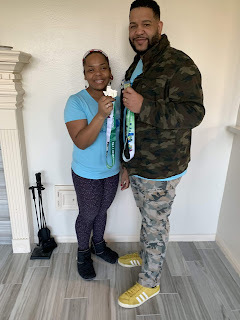 She told me she didn’t know a lot about races but when she heard about the Houston marathon, she decided to train for the race. She told me that the concept of running a marathon but she was intrigued by the idea of conquering such a great challenge. Coach Linda, Gaby and I after a training run. I want to thank Gaby for being such a passionate runner. 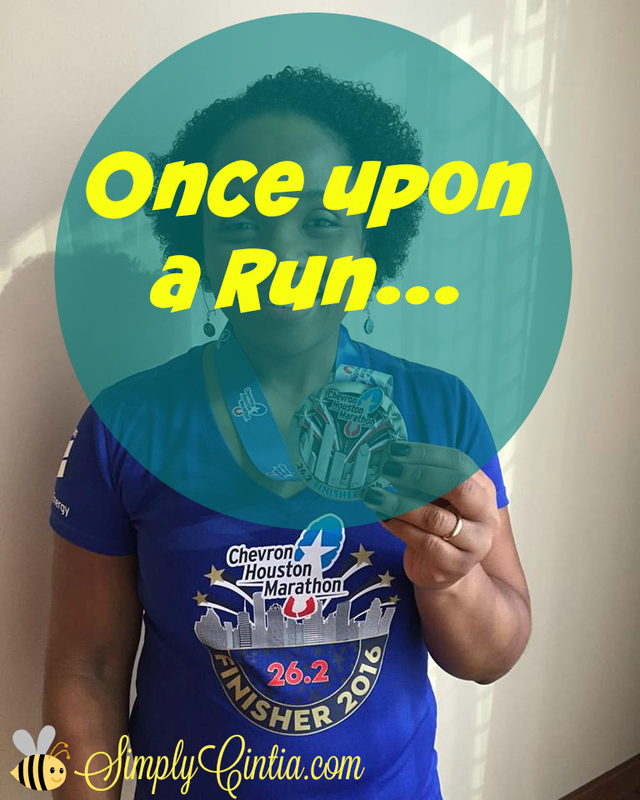 Her dedication to running helps me treasure my own marathon journey. On a personal note, we are 150 days away from the start of the Chevron Houston Marathon! This week I continued in pursuit of my goal. I’ve settled well in my new (old) pace group. 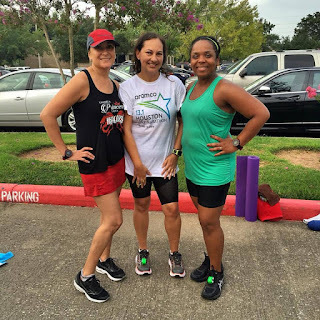 I am having so much fun making new friends each week and encouraging everyone to keep running. My goal is to write down my weekly average pace so I keep myself accountable. I also want to measure my improvement as the training goes by. This ended up being a super busy summer but thank God it was super fun too. I kept running and the cross training had good variety. This week I tried a local boot camp for the first time. My friends have been raving about it and they are getting amazing results. I enjoyed the workout. I’m the kind of person who will be afraid of getting sore but at the same time a burpee does not scare me at all. I have the “I can do hard things” mentality. I also know that as school gets back in session I’ll have a little more time to invest on this area. I’m not a fan of spending 8-5 in the gym but the nutrition part will be easier to control. Have an amazing week and keep running! Remember, there’s plenty time to join us as we run the Chevron Houston Marathon. Visit their website for more information. Remember, they also have a 5K option that’s optimal for all fitness levels.